Explore the clamshell family of quilting designs for fills, motifs, and borders. Though these versatile designs look complex, they're surprisingly easy to free motion quilt using grids and simple circles for marking. Optional ruler quilting makes them even faster. 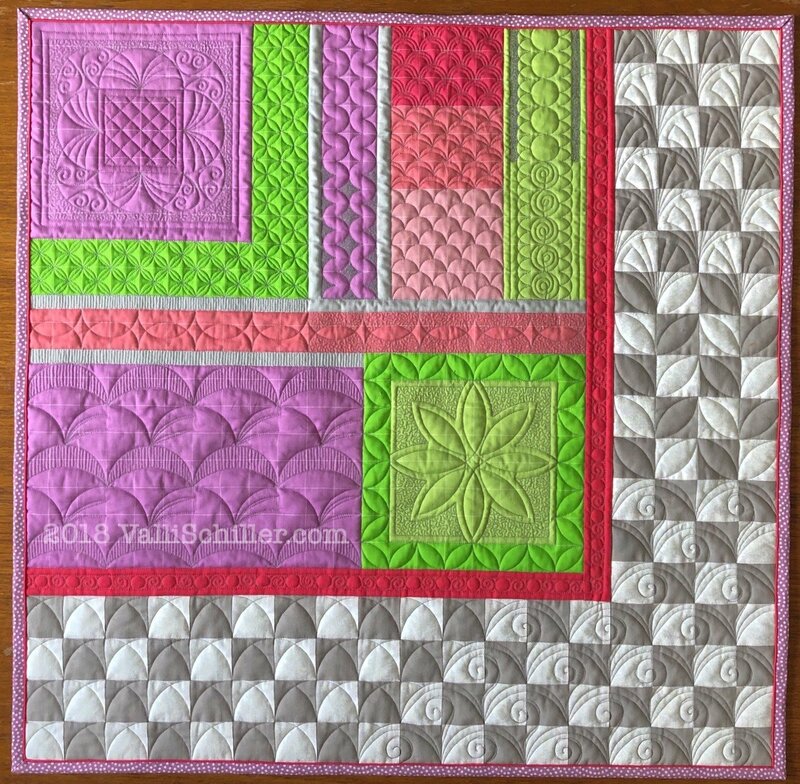 You'll get hands-on practice with a 20" square whole cloth sampler quilt (pattern provided) that you'll finish at home. Students will spend much of their hands-on class time drawing and marking clamshell based designs. If they opt not to bring their sewing machine, they will still benefit from this class. Optional: Instead of marking, you can purchase a pre-gridded fabric panel for $10 from Valli in class. See supply list for details. Requirements: You need working knowledge of free motion quilting, including setting up your YOUR machine, stitching on a marked line, and freehand stippling/meandering. For OPTIONAL ruler quilting, specialized equipment is necessary. Please see supply list for details.